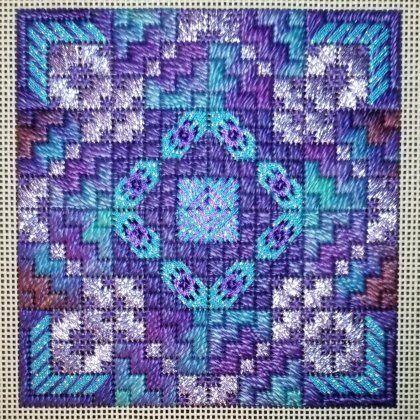 i don’t know if it’s the lovely blue color or the almost quilt-like structure but I’m crazy about Melita Glavin’s newest piece, the result of her ANG Seminar class last month. You can learn about it on her blog. It was a great class and am excited about starting my 12″ square piece. It’s all designed but settling on what threads to use and where is tough.